There are many different ways to sell a car that has been personalized to fit the seller’s expectations. One of these is to go into lavish detail about all the changes, so lovingly designed and executed by someone with a vision of what their car could be. Another is to give a short list of the highlights and offer further information for a follow-up conversation. Or, you can take the reverse psychology approach and pretend as if your car is as ordinary as an unmodified version of the model. 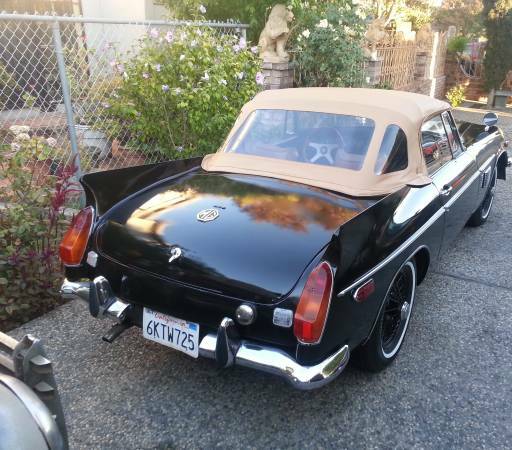 That is the approach the seller of today’s car has chosen – check out this 1970 MGB Special, for sale for $3200 in Palo Alto, CA. Wait, what is this again? An MGB, you say? Where are the crisp lines penned by Syd Enever, John Thornley, and Don Hayter? Isn’t it a Daimler SP250 with a nose job? Sources credit this creation to Tim Burthamshire, at least as owner, and it appears to have previously worn red paint. Where in nature would you find the grill, bumper, indicator lights, and headlight trim? Those fins are interesting and actually rather well integrated compared to the work on the nose. Even if fins were gone by 1970, they were still alive and well in 1963 when the B first debuted, and might have looked like this had the designer of the Daimler SP250 or Sunbeam Alpine gone on to design this car. The seller gives no details on the build, but does mention new discs, pads, and rebuilt calipers, redone rear brakes, new tires and inner tubes, and a rebuilt carburetor. You also get a new top, alternator, headlights, and air filters. 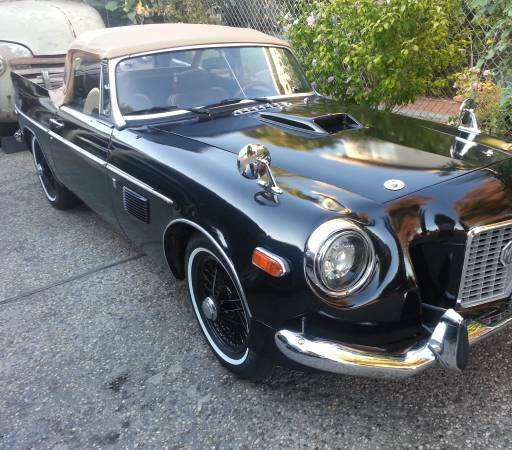 The seller originally bought the car to commute in, but is selling it as a project. No detail is given on further needs, but you might want to start with a nose job. 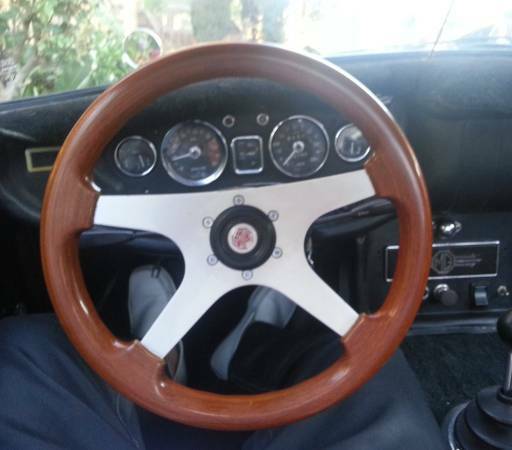 Or you could spend some time on the interior and replace the Grant GT steering wheel, and extend the custom approach to the interior so you have an excuse to get rid of the Abingdon pillow dash. Wait, are those white patent leather shoes in this picture? Perhaps you can take this home for a mere $3199! This entry was posted on July 16, 2014 at 2:57 pm and is filed under Feature. You can follow any responses to this entry through the RSS 2.0 feed. You can leave a response, or trackback from your own site. Wow….. this must be Herb Tarleck’s retirement dream vehicle from when he retired from WKRP and moved from Cincy to Cali.